It is far too common these days to see someone lighting up a cigarette and puffing it in public. While many are very much addicted to this vice, others take it at certain times for a little feel good feeling. Whichever the reason, smoking is dangerous to both smokers and none smokers. The probability of death by tobacco for a long term smoker is strikingly high. Smoking without a doubt is dangerous to health and life. While the media portrays smoking in a glamorous light, in reality it is far from that. 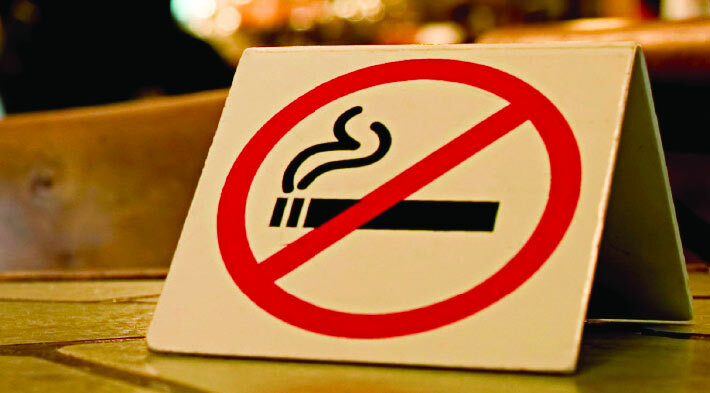 According to the World Health Organization(WHO), 25 major life threatening diseases are linked to smoking. Smoking plays a big role in the cause of lung cancer, heart attack, stroke and so forth. It causes stinking breath, skin problems, impotence in men and even makes the teeth brownish. Asides harming the smoker, smoking also harm those around the smoker. Children who are constantly near smokers are at a risk of having pneumonia and other chest problems. Smoking is also dangerous to pregnant women.Dangerous substance in the cigarette smoke can enter into the pregnant woman’s body and then enter the child. This could harm the baby, in some cases lead to stillbirth, abortion and even death. In a bid to convince people to keep up the habit of smoking, the tobacco industry brought out low tar and nicotine cigarettes. This however seems to be worse as those who made the switch craves as much dose of nicotine as they had when something taking cigarettes.Yet those that simply switch are still at risk of health problems. There is the powdered tobacco called snuff and the chewing tobacco which is chewed. Cigars and pipes are also not any different. They still have as much negative effects. There is even an increased risk of developing cancer of the mouth or lip. Whichever the case, snuff and chewing tobacco both are causes of cancer, cause bad breath, stained teeth. So sucking or chewing tobacco is by no means a wise alternative to smoking it. Decrease in coughing and other chest complications. Many smoke addicts who do want to quit smoking has found it difficult to do, due to the large amount of nicotine which is a highly addictive substances. Nicotine, is a substance which is more active than heroin and cocaine. This is one reason why quitting is hard. Another reason is that smoking has been interwoven into our daily routine. The media and many in the society views it as normal, without really paying attention to the effect it will have on the long run. By all means, the Pros outweigh the Cons. Smoking is a terrible habit, one that easily ruin a person as well a be harmful to loved around him. It is more than a pleasurable past time. It is dangerous.